Fastest 3G speed offering BSNL is going to launch a new Prepaid mobile plan which comes with two years validity on promotional basis. State run Telecom Company Bharat Sanchar Nigam Limited (BSNL) to boost customer enjoyment has introduced new promotional mobile plan for Prepaid users in all Telecom circles to offer reduced 3G data tariff under this plan. As per latest information, BSNL competent authority has not yet announced the launching date but as per Official sources from BSNL has revealed that BSNL is coming with another wonderful plan ever having 2 Years validity to the earlier prepaid plans with Six months and One year validity. The PSU to add more number of Prepaid customer to its network introducing ‘FREEDOM PREPAID PLAN’ on promotional basis for a period of 90 days from the date of launch on PAN India. Under this Prepaid mobile plan on recharge of Plan voucher of Rs.136/- includes 1GB free 3G data usage (To be consumed within 30 days from the date of activation) and customer can make all Local/STD voice calls (On-net/Off-net) @ 25 paisa per minute for first 30 days (Home LSA/National Roaming). However, customer can enjoy data usage after consumption of free data usage @ 45 paisa per MB which is 85 percent lesser than the data rate of existing Prepaid plans. Prepaid user after 30 days all voice calls as well video calls will be charged @ 1.3 paisa per second. Note: 1GB free data usage offer available with Plan voucher of Rs.136/- is for new mobile connection customers only and is not applicable for migration and validity extension. 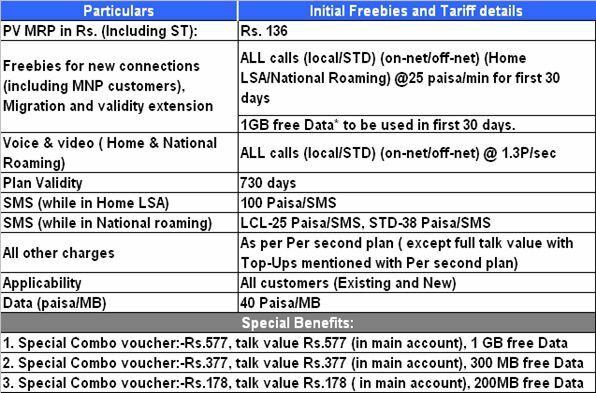 Freedom plan is also offering bundle of special benefits through Combo Vouchers of Rs.178, Rs.377 and Rs.577/- which loads Full Talk Value and free data usage in main account. Combo Voucher of Rs.178 offers, Full Talk Value + 200MB free data usage. Combo Voucher of Rs.377 offers, Full Talk Value + 300MB free data usage. Combo Voucher of Rs.577 offers, Full Talk Value + 1GB free data usage. 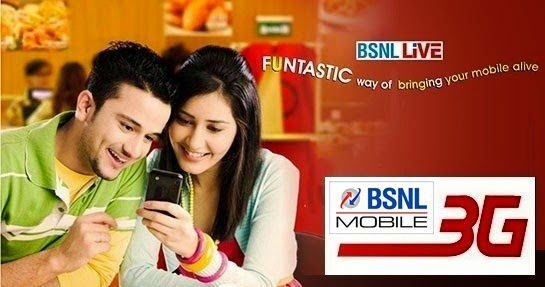 BSNL subscribers have to wait till the announcement of date of launch from BSNL officially. www.bsnltariff.com website will update the same for before Freedom plan launch.